Masterclass – Fail safe, learn fast. This course follows on from Getting involved in better care and is aimed at practitioners who want to continue their quality improvement (QI) initiatives by deepening their understanding of the Model for Improvement and broadening their repertoire of practical improvement skills. It’s a very ‘hands-on’ course and with our guidance you will build upon the improvement work that you’ve already started. You will practice small PDSA cycles and measure your improvement so that you know whether your changes have made a difference to patients. We will encourage you to think like an improver and embody the habits of an improver so that using these techniques becomes part of your daily routine. Our faculty are present throughout the learning journey, providing dedicated coaching support to help make your quality improvement a success. Our coaching reinforces the importance of self-directed learning and supports you to identify and articulate your own learning needs. By the end of the course you will have contributed significantly to a quality improvement project including the collection of data and the analysis and presentation of your findings. You will also have acted on feedback to make further changes to your project. Evidence of the steps you have taken to provide better care is captured throughout the course and this evidence can then be used to fulfil the e-portfolio requirements of your F2 curriculum. Along the way you will be encouraged to reflect upon and share your successes (and your failures) with our learning community. Building meaningful and long-lasting relationships with your peers, learning with and from them in a social context is a powerful element of our approach. The emphasis of your learning is very much about PRACTICAL improvement science; enabling you to learn a set of skills that you can use, on the ground, within days of starting the course. ‘Contributes significantly to at least one quality improvement project including: Data collection; analysis and/or presentation of findings; implementation of recommendations’ and also ‘Keeps practice up to date through teaching and learning’. Foundation Year One (FY1) trainee doctors who are keen to get ahead and become more involved in quality improvement and better care. Junior registrars who want to refine their own QI expertise whilst also preparing to support colleagues in their QI initiatives. There is also significant overlap with other areas of the F2 curriculum including Section 1: ‘Keeps practice up to date through teaching and learning’. 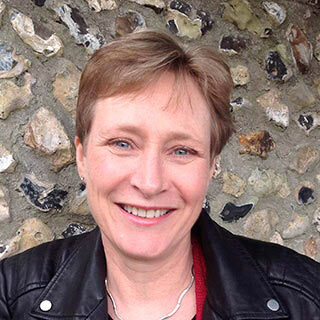 Nicola Davey began working in improvement science some years ago when she realised the significant impact that well-designed changes could make to patients. 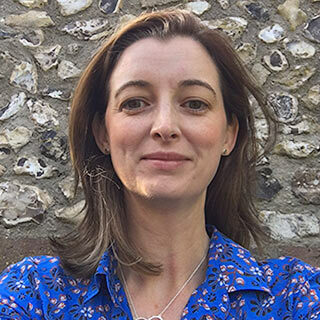 She has previously worked as lead designer and instructor on the East Midlands BaSIS programme which introduced junior doctors to improvement science and supported them through their first improvement project. Find out more about Nicola. QIClearn is an innovative learning company which combines expertise in quality improvement for healthcare with a deep understanding of digital technologies and learning design. ©QIClearn 2018. All rights reserved.